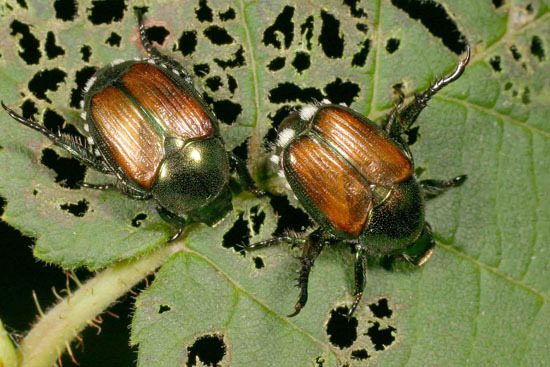 Blog / Plant Insects / Insect Pests / Japanese Beetle Alert! Japanese Beetle adults are emerging! They’ll only be around for about three weeks so now is the time to take action! I’ve just made two trips through our small garden and captured eleven. Eight of these were in mating pairs so I claim ten points per pair, every point meaning, what? Maybe about a dozen offspring? Forty three points! Not bad for starters. Where do I look? 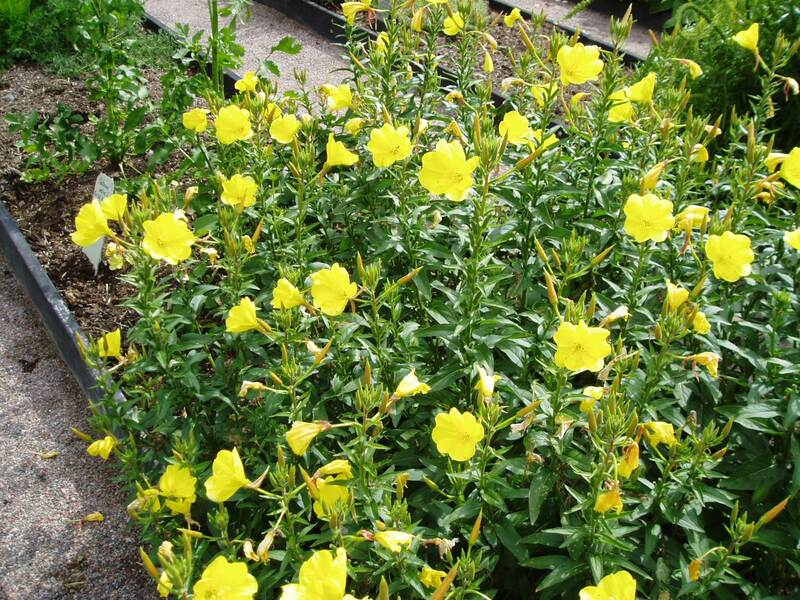 I’ve found that Sundrops make a good trap crop for theses critters as they don’t bother anything else in our garden. I found the original plant in a nursery dump without label. Based on flower, leaf and habit, I believe it it to be 0enethera biennis. It reseeds very easily and each spring I weed out the excess, leaving only a few plants in key, easy-to-reach locations. This is a large plant and the beetles seem to prefer the upper leaves, which makes for easy pickings. You may find other plants which offer the same type of attraction to Japanese Beetles or, to other pests. What do I do with the little buggers? I carry a small pail of soapy water….